In the end, despite the high price tag, the Owlet Smart Sock 2 is a total win. One of a parent’s biggest fears is having something happen to their baby during the night when we aren’t able to keep a watchful eye. The Owlet provides peace of mind by monitoring your baby’s pulse and oxygen level throughout the night and alerting you with any sign of trouble. And although the Owlet Smart Sock 2 may seem expensive, it comes with enough features that justify the high price tag. 7 THE BOTTOM LINE | Could Be a Life Saver! The Owlet Smart Sock tells you what your baby can’t, keeps your baby safe, and provides parents peace of mind by relaying heart rate and oxygen levels during sleep. The Owlet Smart Sock 2 is the most innovative baby monitor currently available for home use. Owlet designed this little smart sock to be a pulse oximeter (pulse ox) that monitors your baby’s heart rate and blood oxygen saturation. Sometimes, there might be certain babies at risk for health conditions that may need home monitoring. There are also parents who seriously just want some peace of mind while their babies are sleeping (so they can get some sleep, too). No matter what situation you find yourself in, the Owlet Smart Sock 2 is made to keep your baby safe and give parents the peace of mind that we crave! The Owlet Smart Sock 2 is the most innovative baby monitor currently available for home use. The Owlet is a high-quality monitor that is built for safety. It is set to notify you if your baby’s oxygen level falls below 80% and if the heart rate falls below 60 bpm or above 220 bpm. 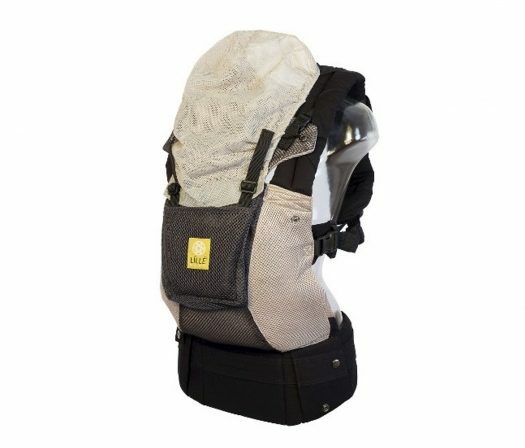 It’s also meant to stay put with a new and innovative design that offers a more secure fit and intuitive placement. This ultimately leads to more accurate readings. However, the Owlet Smart Sock 2 is NOT a medical device and should only be used as a health and wellness device, so if your baby has a medical condition that requires special monitoring, please talk to your doctor about how to proceed. The sock works by linking to a mobile app on your phone (iPhone and Android friendly) and the base station kept in your home. If baby’s heart rate or oxygen saturation were to go whacky, alarms are set to go off on your phone and the base station. This double alert system provides a greater level of safety and ensures won’t miss important alarms. If baby’s heart rate or oxygen saturation were to go whacky, alarms are set to go off on your phone and the base station. As awesome as this monitor is, it’s also important to be aware of a couple situations where the Owlet Smart Sock 2 could not work properly. If the power were ever to go out the Owlet would be deemed useless. The Owlet company is always working on improving the app and constantly sends out updates to improve bug fixes to make the app work better every day. However, if you were to lose an internet connection (or don’t have internet) the Owlet Smart Sock DOES work by keeping a constant connection to the base station. So ultimately, the app, a smartphone, or internet isn’t necessary for the Owlet to work, those tools just improve user experience and provide more access to the smart sock through the Owlet app. Owlet revamped the smart sock recently making a more improved and better experience for parents and baby. One of the revamps was the design and fit of the sock, making it more comfortable for baby and intuitive for parents to apply to those cute little feet. 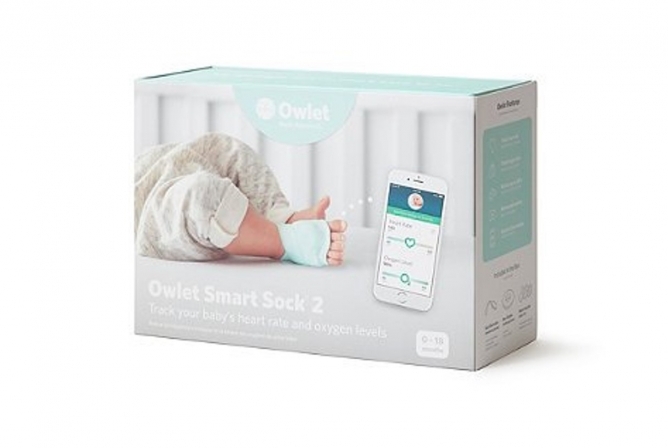 The Owlet Smart Sock 2 is made with hypoallergenic cotton that gently and securely wraps around baby’s foot and can even be worn under pajamas and socks. The soft, breathable, and lightweight material wraps and flows with the chubby curves of your baby’s foot and is designed to adapt to their foot as your little one grows. Parents can also find comfort in the Owlet Smart Sock 2. Owlet reports that up to 83% of parents experienced improved sleep while their baby wore the Owlet. That is a huge percentage! And we all know that more sleep results in being a better parent and partner to your family. Ultimately, the Owlet Smart Sock 2 provides enormous peace of mind to parents because it has the potential to save your baby’s life! The updated Owlet Smart Sock 2 can be worn on either foot (where the previous model was meant for one foot only) and allows parents to alternate as needed. There’s a little sensor (pulse ox) that is attached to the fabric of the monitor that is flexible and designed to adapt to your baby’s foot as he or she grows. Included in the box are three different sock sizes that can be changed out as baby’s chubby feet get bigger. This little sock is also rechargeable (usually takes about 3 hours) and can last up to 18 hours, so it will probably need to be charged on the daily. Recharging is easy: just connect the smart sock to a cord that connects to the base station, and you’re in business! Another nice part of the Owlet Smart Sock 2 is that the Owlet App can be downloaded by multiple users so that mom, dad, grandparents, and whoever else can see how your baby is doing. However, one downside is that families with multiples do need to buy two separate units for each baby. Of the other baby monitoring devices that we’ve reviewed, the Owlet Smart Sock 2 is the safest and has some of the best performance features. The innovative design has increased precision and accuracy of baby’s readings and helps monitor your baby’s health while sleeping. It also has an improved Bluetooth range of up to 100 feet between the smart sock and base station. There also were improvements made to the Owlet hardware that results in 4x fewer false alarms. It also has an improved Bluetooth range of up to 100 feet between the smart sock and base station. The Owlet Smart Sock 2 comes with a base station for charging and for alerts when baby’s readings are abnormal. Also included is a mobile app for your smartphone that has a sizing guide, push notifications, and real-time access to your baby’s heart rate and oxygen levels. As long as you have an internet connection (the sock and your smartphone) you can see your baby’s little heart rate and oxygen levels no matter where you are in the world. 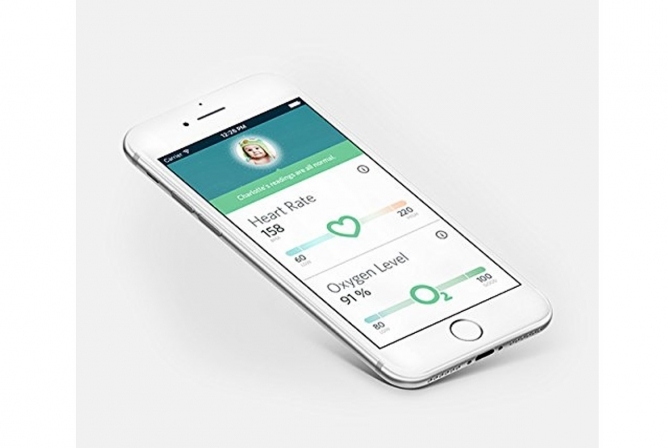 The Owlet App is also compatible with Connected Care, an app that allows you to track historical data, red notification information, and your baby’s sleep trends. Another great aspect of being part of the Owlet family is the AMAZING customer service that comes with it. Their website is very easy to use, has a very in-depth Help Center with troubleshooting, a FAQ page, and someone online to chat with you 24/7. The Owlet team is very helpful in answering questions and providing the information you need to get the most out of the Owlet Smart Sock 2. There are yellow and red alerts based on how severe baby’s readings fluctuate. As far as using the actual smart sock, it really can’t be any easier for such a high-tech little device. Everything comes in a box with an easy-to-follow setup guide that walks you through proper usage and startup. 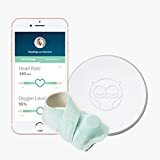 The sock has preset heart rate and oxygen limits (which you can change yourself) and alerts parents on the smartphone app AND the base station if baby’s readings are outside of those parameters which can help prevent SIDS and other health problems. There are yellow and red alerts based on how severe baby’s readings fluctuate. As always with any technology, there will be false alarms from momentary connection issues as well as if the sock comes off baby’s foot, or if baby is moving or awake (which can affect readings). However, almost every parent that has the Owlet Smart Socks welcomes false alarms and reports that they would rather be safe than sorry. Longevity for the Owlet Smart Sock 2 is very good. This smart sock is meant to grow with your baby from 0-18 months. The sock itself is made with soft, flexible cotton, and the pulse ox monitor is made of flexible. Included in the box are three different sock sizes that grow as your baby grows. Also, Owlet has included a One Year Warranty, ensuring that you’ll get a free replacement if the smart sock stops working (doesn’t apply to preventable damage). The Owlet Smart Sock is ultimately meant to see your baby through the age when they are at highest risk for SIDS. This smart sock is meant to grow with your baby from 0-18 months. Because this is a newer company and includes higher tech devices, please note that updated versions might be released every couple of years with important updates and improvements. This means that for the apps to work properly, updated models may need to be purchased. However, because the Owlet Smart Sock 2 can be used without smartphones, internet, or the Owlet App, this device can still be used without updating every couple of years if it still works! Although the Owlet Smart Sock 2 does have a hefty price tag, almost every parent that is part of the Owlet family said the purchase was totally worth the peace of mind that Owlet delivers. “You can’t put a price on safety,” as one parent put it, and many parents have attested to how this little sock has saved their baby’s life which does way more than any other baby health monitoring device we’ve reviewed! 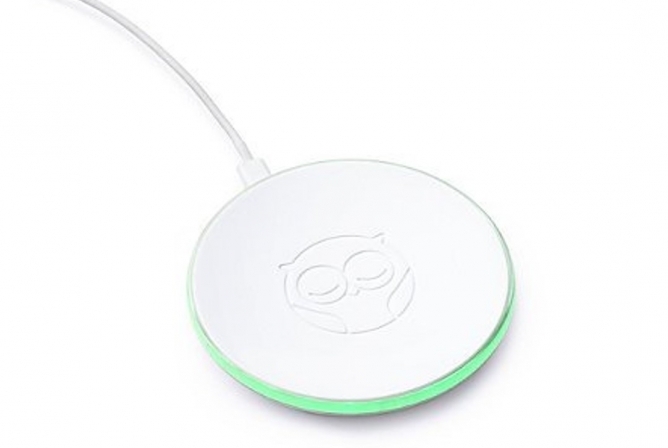 However, peace of mind is not the only thing that Owlet is selling with this nice little package. Also included with the Owlet Smart Sock 2 is a base station, the smart sock electronics (pulse ox), three sock sizes to fit your little one as they grow, a paper manual, and charging cords. And that’s only what comes in the box. The Owlet website is super easy to use and helps with troubleshooting issues. Customer service is available 24/7 by phone or online chat. In addition, Owlet offers a 45-day Peace of Mind Guarantee. If you’re dissatisfied with your Owlet in the first 45 days, just contact the customer service department for a full refund. Also included is a 1-Year Warranty if the Owlet stops working for no good reason (doesn’t cover preventable damage). That’s quite a package and can be well worth the high price tag. THE BOTTOM LINE | Could Be a Life Saver! In the end, despite the high price tag, the Owlet Smart Sock 2 is a total win. One of a parent’s biggest fears is having something happen to their baby during the night when we aren’t able to keep a watchful eye. The Owlet provides peace of mind by monitoring your baby’s pulse and oxygen level throughout the night and alerting you with any sign of trouble. Owlet is a one-of-a-kind monitoring device compared to other Baby Health Monitors we’ve reviewed and researched. This type of monitoring is priceless for parents! And although the Owlet Smart Sock 2 may seem expensive, it comes with enough features that justify the high price tag. You’ll get the base station, the smart sock electronics (pulse ox), three sock sizes to fit your little one as they grow, a paper manual, and charging cords. In addition comes a great customer service team, easy troubleshooting website, 45-Day Peace of Mind Guarantee, and a 1-Year Warranty. How’s that for peace of mind?